Fast-booting system hits series production. 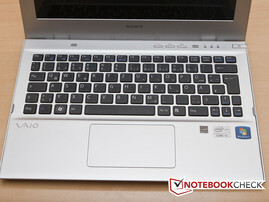 The pre-production model of Sony's Ultrabook left a good impression overall but it wasn’t without faults. Sony's production model has been improved in many ways - but some things are still amiss. 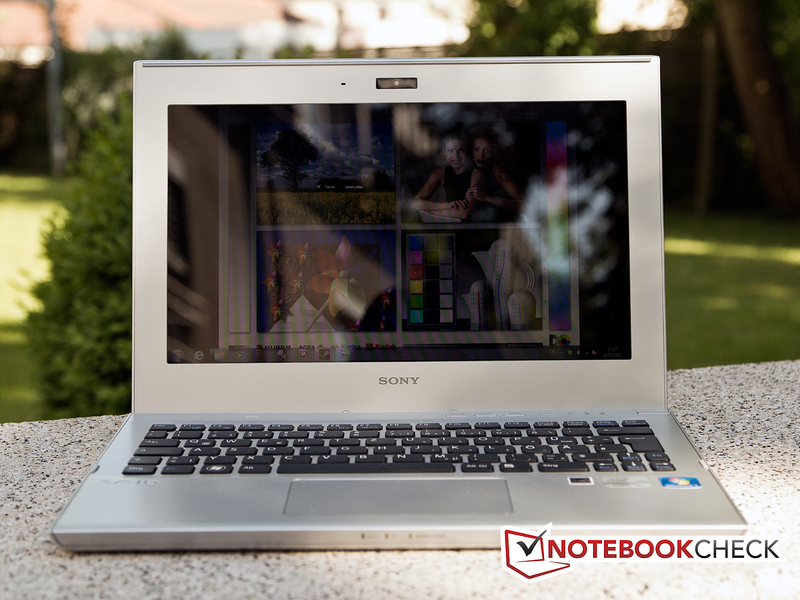 We tested Sony's most recent Ultrabook-contender in the middle of May as a pre-production model. Back then we criticized the unresponsive touchpad and the pretty weak display. Now that we have the final version in our hands, let’s see if the manufacturer listened and improved the model. Optically, there are no changes and the technical specs are almost identical to the pre-production version. 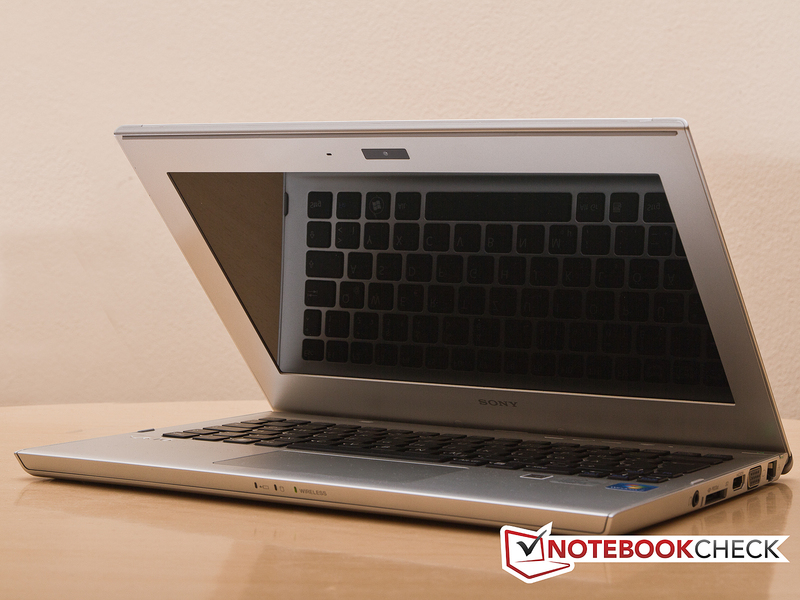 At the core of the 13.3” system is the ULV-CPU Intel Core i3-2367M with 1.4 GHz. This version of the dual-core processor does not allow for dynamic overclocking via Intel Turbo Boost. Because the processor is using the “old” Sandy Bridge architecture, the only graphics option available to potential buyers is the fairly slow integrated Intel HD Graphics 3000. Sony also stuck with the hybrid drive consisting of a traditional high-capacity HDD and a small SSD. The functional interaction of the two drives is supposed to lead to faster system boot- and application startup-times and also enhances overall system performance. Let’s find out if Sony was able to improve the solid-aluminum Ultrabook while readying it for production or if things have taken a turn for the worse. During our pre-production test we were duly impressed by the partly smooth, partly brushed aluminum chassis which was carried over into production without any changes. 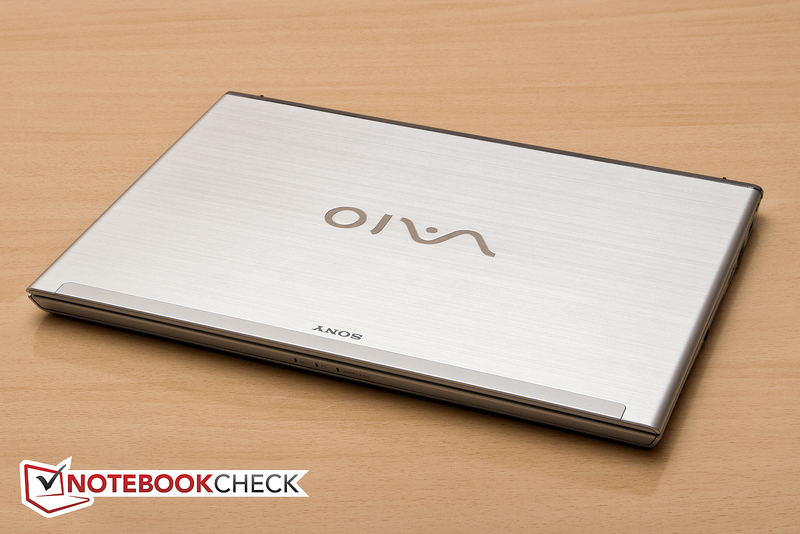 The result is an Ultrabook that is not only visually appealing, but also pleasing to the touch. What we said about the chassis for the pre-production model still holds true – unfortunately down to the extremely thin and therefore unstable display lid. 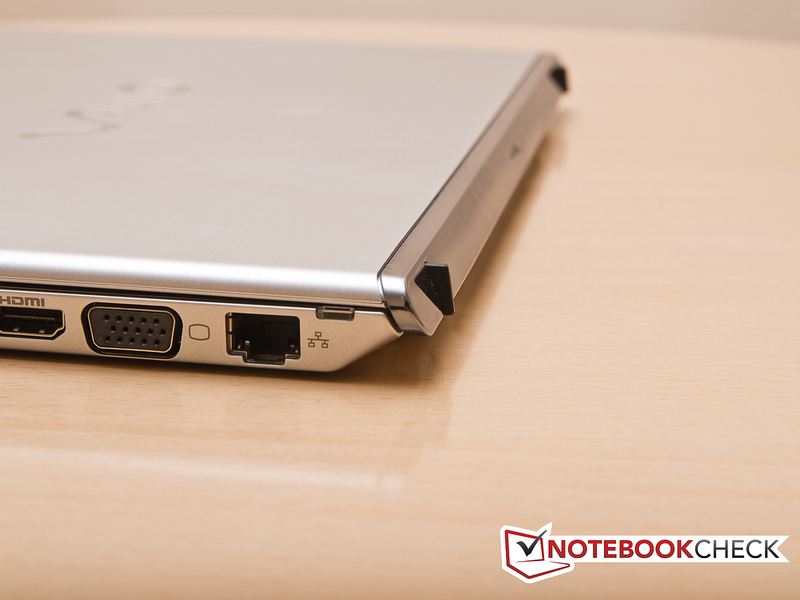 Although Ultrabooks are generally not known for a plethora of interface connections, the Sony Vaio SVT1311M1ES is an exception here. Compared to other Ultrabooks, it fares quite well. Just like the pre-production model, it features 2 USB ports: one USB 2.0, the other USB 3.0. Both are still located on the left side which can complicate attaching a mouse with a short USB cable – at least for right handers. Also included are both VGA and HDMI ports for transmission of both analog and digital signals. When using HDMI, digital sound is also transmitted. Gigabit-Ethernet, a headphone jack, and a card reader for SD cards and Memory Sticks round out the port options. The front and the back do not host any ports. We like how Sony placed the ports, which are all located past the hand rest towards the back of the unit. Sony did not make any changes to the communication interfaces the pre-production model featured. Available are hence only the fairly standard Gigabit Ethernet and WLAN IEEE 802.11b/g/n; the latter operates at 2.4 GHz only and not on the less crowded 5 GHz band. With Bluetooth 4.0 HS however, Sony incorporates the latest standard of the short-range wireless technology. In our pre-production evaluation we noted: “Our test sample is a pre-production model and therefore the box didn’t include anything besides the Ultrabook itself and the power adapter”. Aside from some additional paper docs – quick start guide, safety information, and a description of the wireless functionality – nothing has changed. What we said about the pre-production model still holds true. 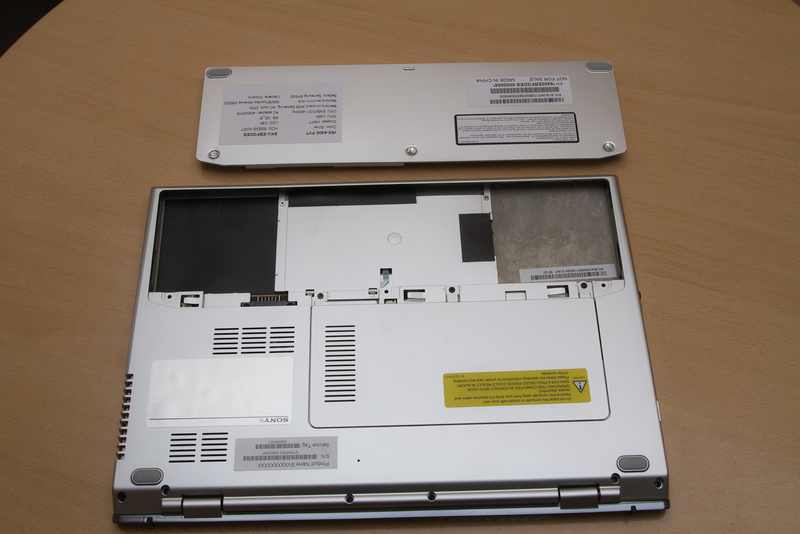 One positive feature of the Sony Vaio SVT1311M1ES compared to a lot of other Ultrabooks is the removable battery. Accessibility of the individual components is not an issue. 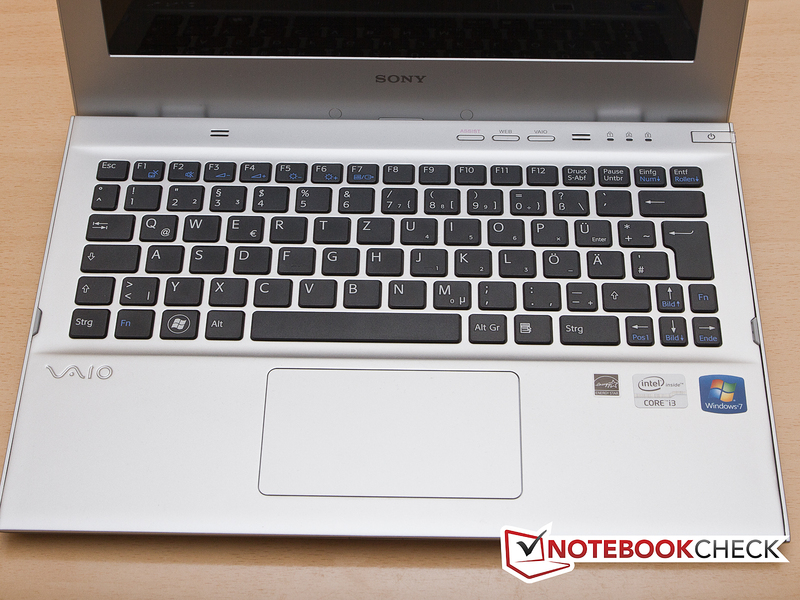 Since space is at a premium, the Sony Vaio SVT1311M1ES utilizes fairly small keys which nevertheless allow for fast typing after a little bit of practice. The short travel of the keys and the firm impact hasn’t changed. In addition, the keys of our test sample had a fairly “clickety” feel to them, which, although it doesn’t hamper typing at all, leads to an impression of lower quality. Additional details about the keyboard can be found in the test of the pre-production unit. 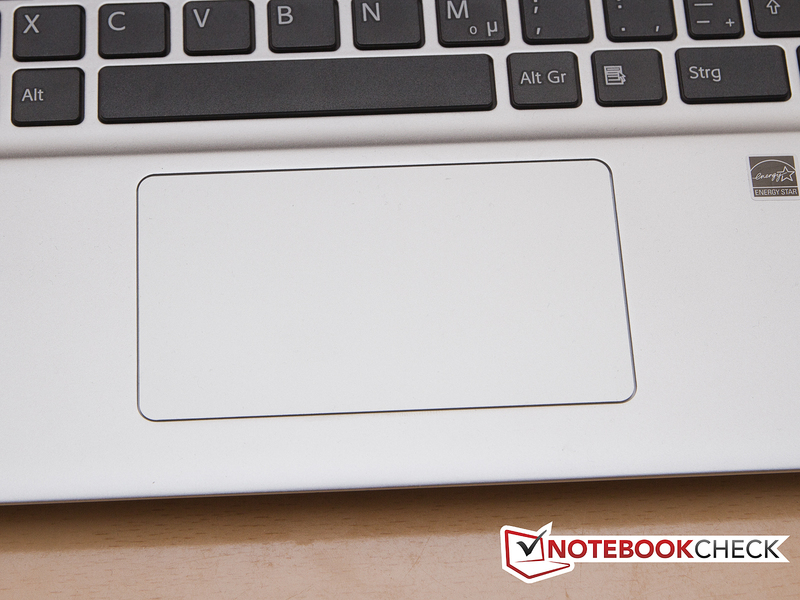 The touchpad was one of our main points of criticism when we tested the pre-production sample. It often didn’t respond at all or was extremely sluggish, which made operating the unit more difficult and frankly got annoying. Sony was able to rectify this shortcoming completely – the touchpad of the production unit responds accurately and without delay. We didn’t really miss the physical mouse buttons but it does take a little while to become proficient with actions like drag & drop. The multi-touch features of the touchpad work very well. We think that the touchpad could have been extended in its depth a little bit more, as it is fairly easy to run out of touch-surface real estate while navigating. The one area where we thought the pre-production really missed its mark was the display. While we didn’t have an issue with the (for the 13.3” Ultrabook-category) class-average resolution of 1366x768 pixel, we really didn’t like the low brightness, the high black point value, and the very low contrast. Since Sony decided to carry over the same panel used in the pre-production unit, this really didn’t come as much of a surprise. Consequently, the limited color spectrum also remains unchanged. 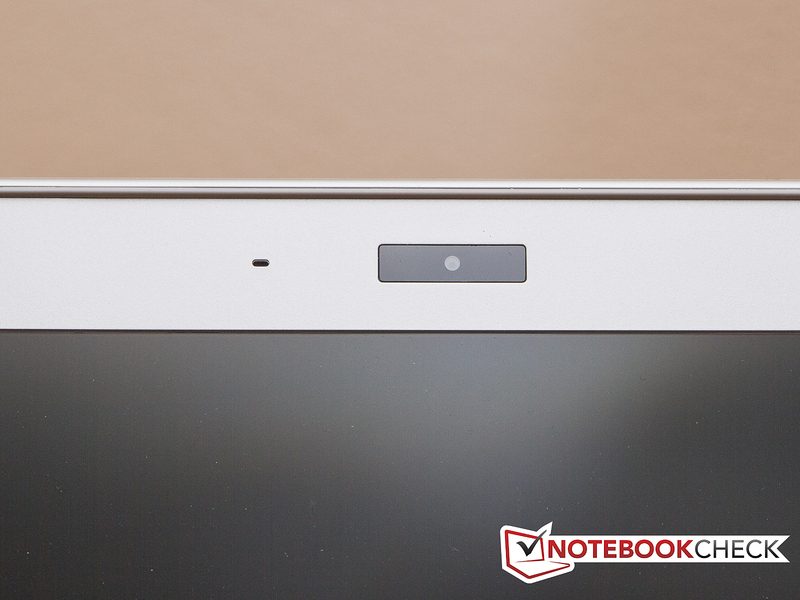 As far as the suitability of the Sony Ultrabook for outside use and the limited viewing angles of the TN-panel display are concerned, what we said during our test of the pre-production unit still holds true. 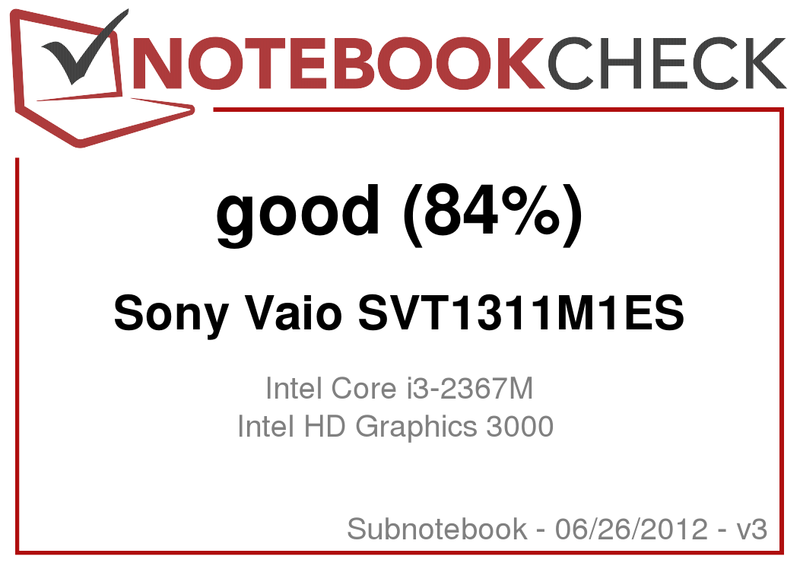 When we tested the pre-production model of the Sony Vaio SVT1311M1ES, the ULV dual-core processor Core i3-2367M, based on the Sandy Bridge-architecture, was a current processor in Intel’s lineup. Since then, Ivy Bridge has proven to be a real game-changer in the notebook market. Since there aren’t any CPUs for Ultrabooks in the Ivy Bridge-lineup yet, our Sony test unit certainly can’t be considered outdated. Sony didn’t change the processor, integrated Intel HD Graphics 3000, or the four GB of RAM. 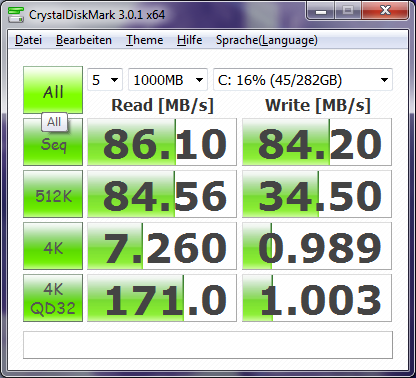 The combination of a small and fast SSD and larger and slower HDD also remains unchanged. 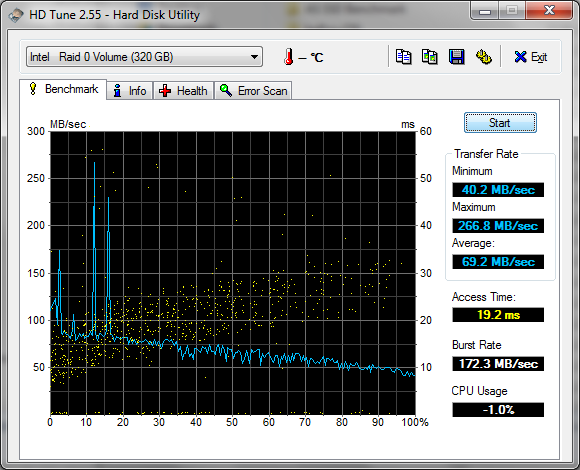 The 32GB SSD is supposed to improve overall system speed and is not user accessible, as it’s controlled by the system. The traditional hard disk Sony still sources from Hitachi. The capacity, however, has been decreased to 320GB. We would have been very surprised had Sony decided to change the processor model. 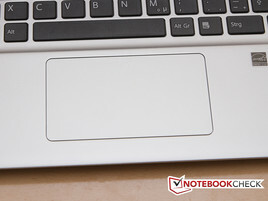 Not only is the selection of ULV CPUs that meet the Ultrabook specification fairly limited, but a different choice here would have changed the whole character of the notebook. Detailed information for the Intel Core i3-2367M can be found in our pre-production test and on our CPU page. It shouldn’t be a surprise, then, that our benchmark tests show nearly identical results when compared to the test of the pre-production unit. Any deviations are certainly within measurement tolerance. Solely the OpenGL-performance achieved during the Cinebench R10 32Bit is more than ten percent lower than the values recorded during the pre-production test. Since the 64bit results as well as all other values are nearly identical to pre-production, we attributed this deviation to a measurement error in the pre-production test. Evaluation of the overall system performance shows little change from the pre-production to the final production model. The slightly smaller hard disk drive could, however, have some impact on the results of the PCMark 7 test. As far as the benchmark data is concerned, there is hardly a noticeable difference compared to the 500GB drive in our pre-production test unit; the capacity of 320GB is quite a bit smaller though. The decrease in performance of 1.5 percent could have many possible reasons - such as measurement tolerance, driver used, different hard disk drive, etc. The only significant difference we noticed in the final production model compared to the pre-prod unit is the hard disk drive. Sony still uses a Hitachi model spinning at 5400 rpm, but the capacity decreased from 500GB to 320GB. Comparing the test results from HDTune and CrystalDiskMark shows significantly higher disk performance in the pre-production sample. The average transfer rate measured in HDTune, for example, is with 70 MB/s clearly lower now than the 86 MB/s measured in the pre-production test. CrystalDiskMark confirms this finding. We think that the different HDD model is only partially to blame. It actually looks like Sony tweaked how the SSD and HDD work together; maybe to increase the life expectancy of the caching-SSD. The very quick system- and application startup has not been impacted though, which is good news indeed. This section we can keep rather short: there are no changes from the pre-production unit – which is something that 3DMark 06 validates. The integrated Intel HD Graphics 3000 is not known to be very capable in the first place. 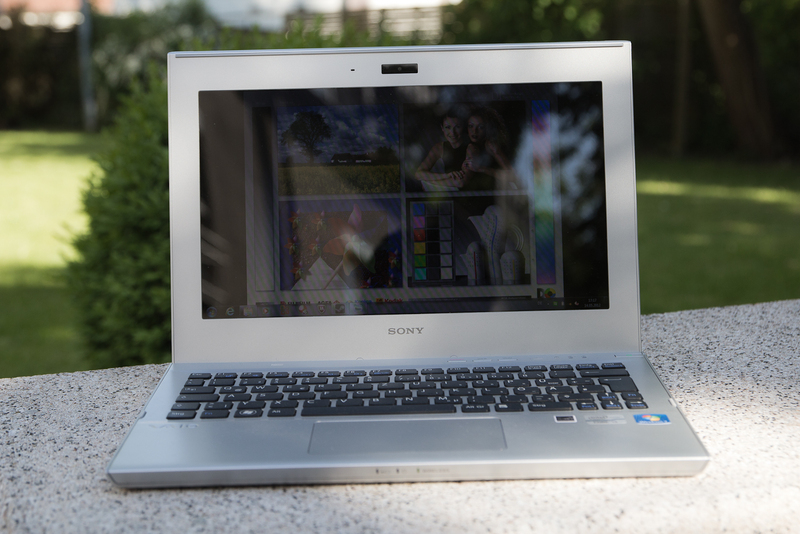 When combined with a ULV processor like the one found in Sony’s current Ultrabook, graphic performance is reduced even further. The core clock frequency is set at 350MHz. The “normal” Sandy Bridge processors operate at 650MHz. Looking at just the measured data, the overall noise level of the system hasn’t changed significantly going from the pre-production to the final production model. During idle, the noise level stays between 30.8 – 34.4 dB, which is reasonably quiet. What we didn’t like is the somewhat annoying, high-frequency fan noise. The fan also starts up rather quickly even under very low load. 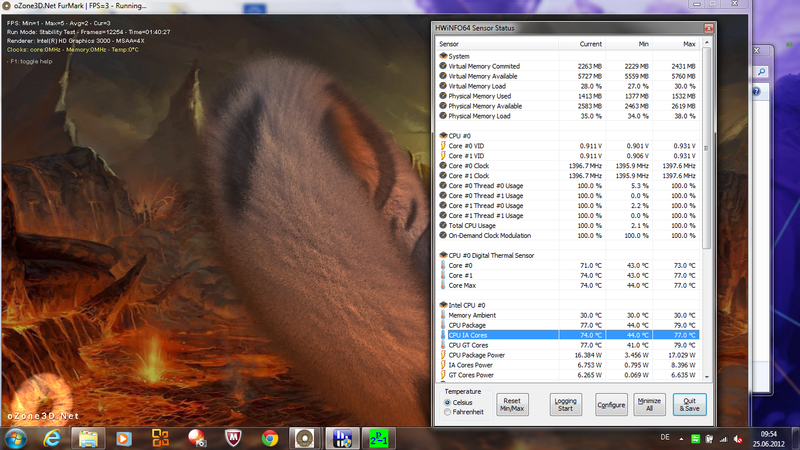 The noise level maxes out at 36.4 dB while the fan is spinning up before dropping down to a constant 34.4 dB. Under full load, the noise level maxes out at 42.1 dB which is 0.9 dB higher than the level of the pre-production unit. Since we are dealing with a relatively low-performing Ultrabook here, we think this is simply too loud, especially considering the high-frequency fan noise. In our write-up of the pre-production model we noted: “There is no cause for alarm as far as the temperature levels of the Sony Vaio SVT1311M1ES are concerned. Under load, the Ultrabook reaches a maximum of 35.1 degrees Celsius (95.2 degrees Fahrenheit) on the top and 36.7 degrees Celsius (98.0 degrees Fahrenheit) on the bottom.” Because of these results, we recommended that Sony should throttle the fan a bit more to reduce the noise level even further. Our production test sample, however, runs much hotter than the pre-production unit – even though the fan noise has increased, not decreased. Under load, the temperature on top now reaches 42.7 degrees Celsius (108.9 degrees Fahrenheit), on the bottom it climbs to 45.8 degrees Celsius (114.4 degrees Fahrenheit). During normal use, things are not as bad: all measurements stay under 32 degrees (89.6 degrees Fahrenheit) and are not critical. However: the current model does run a bit hotter than the pre-production unit. (±) The average temperature for the upper side under maximal load is 37.3 °C / 99 F, compared to the average of 30.7 °C / 87 F for the devices in the class Subnotebook. Nothing new to report here - so we only include a reference to the test report of the pre-production model. As expected, the Ultrabook with the ULV processor makes good use of its 45Wh-battery. We can’t say for sure if the capacity is the same as in our pre-production sample since we didn’t receive any information about the battery capacity back then. Power consumption during different load levels has changed somewhat compared to the pre-production unit – and not for the better. 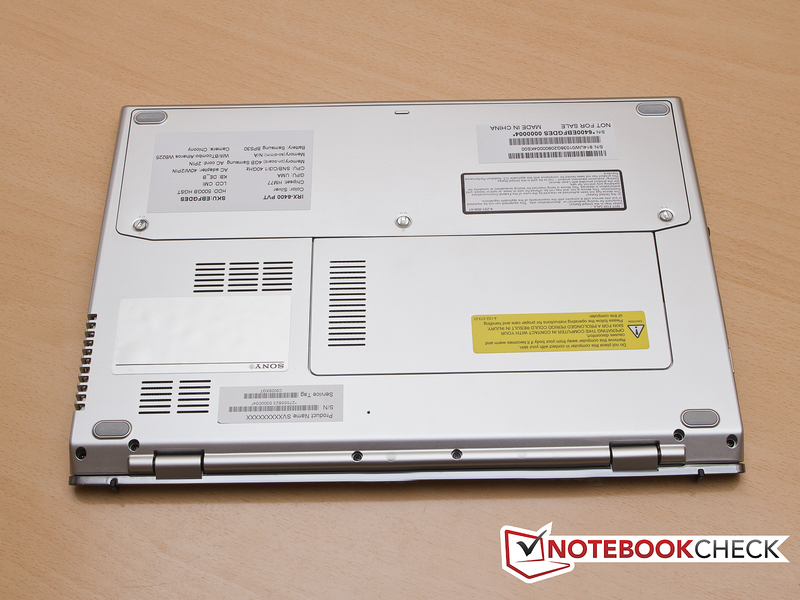 Especially during idle, the production-Vaio is considerably more power hungry. Idle consumption, which used to be 6.1 to 8.7 watts, is now 8.9 to 17.5 watts. Under full load, power consumption also increased measurably from 31.9 to 35.6 watts. Only under average load, the numbers look better: 17.4 watts. Since power consumption saw a significant increase under most load levels, we expected the production version of the Sony Vaio SVT1311M1ES to fare worse as far as battery life is concerned. But think again: runtimes stayed at almost the same levels; during the most relevant test (surfing with WLAN at 150 cd/ m2), we saw a significant increase in runtime. This leads us to believe that Sony “tweaked” the final production battery. During our past test, Sony’s Ultrabook lasted 4:16 hours during our WLAN surf-test; now the Vaio manages to last exactly one hour longer – a very good result. Runtime under full load also shows some improvement (2:45 hours vs. 2:30 hours). Even the maximum runtime, achieved with minimal display brightness and all communication modules turned off, increased by a bit. This result, however, has little relevance as far as daily use is concerned. We have mixed feelings when we look at the modifications that the Sony Vaio SVT1311M1ES underwent on its road from pre-production to retail unit. 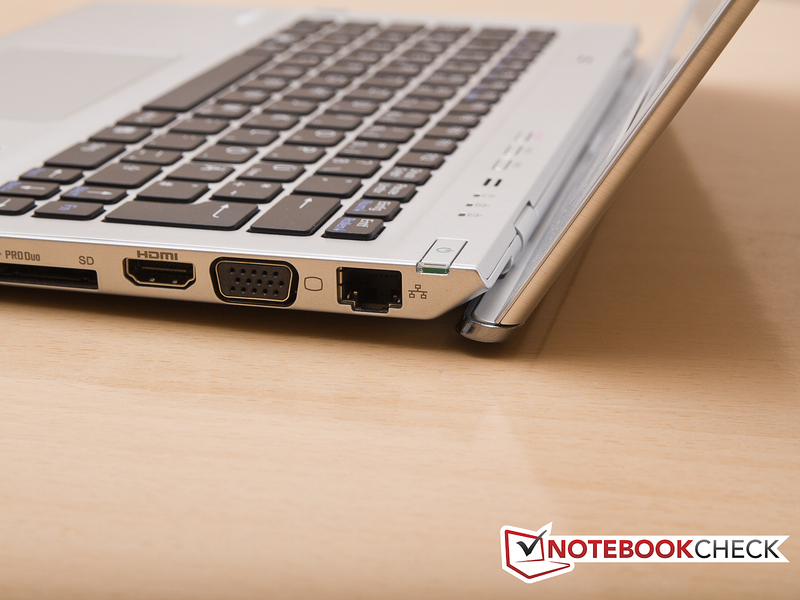 The model is still a good Ultrabook with a great fit and finish and quality construction. Some features, however, Sony simply "improved for the worse". The build quality is impeccable, one is left with the impression of very high quality. The very delicate nature of the display lid hasn’t changed and it is therefore easily twisted even when very moderate forces are applied. Sony was able to rectify the issues with the touchpad. We are left with both a decent touchpad as well as equally decent keyboard, although both suffer a bit from space constraints. The clickety-clack of the keys might not sound very good, but it doesn’t adversely affect typing. Since this model is classified as an Ultrabook, there wasn’t much room for improvement In terms of features. 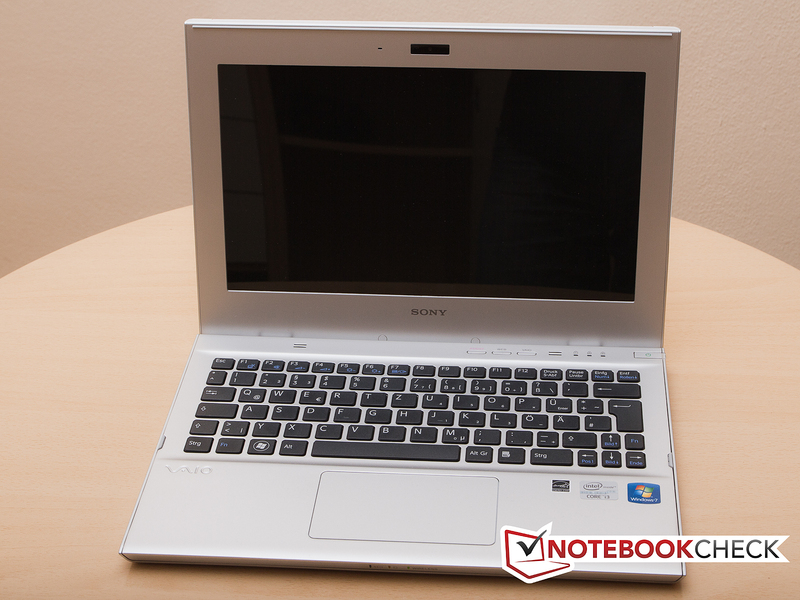 The Sony Vaio SVT1311M1ES is comparatively well equipped. It would have been nice if Sony had transferred at least one USB port to the right side though. Our main point of criticism for this beautiful Ultrabook remains the fact that Sony didn’t change the display. Low brightness, low contrast, narrow viewing angle – Sony really relies on a subpar TN-panel here. That the fan in the production unit is more annoying than the one found in the pre-production sample is something that just shouldn’t have happened. Combined with overall higher temperatures this certainly reflects poorly upon the engineers. Our overall verdict hasn’t changed though. Quote: “All things considered, we can recommend the Sony Vaio SVT1311M1ES without hesitation. 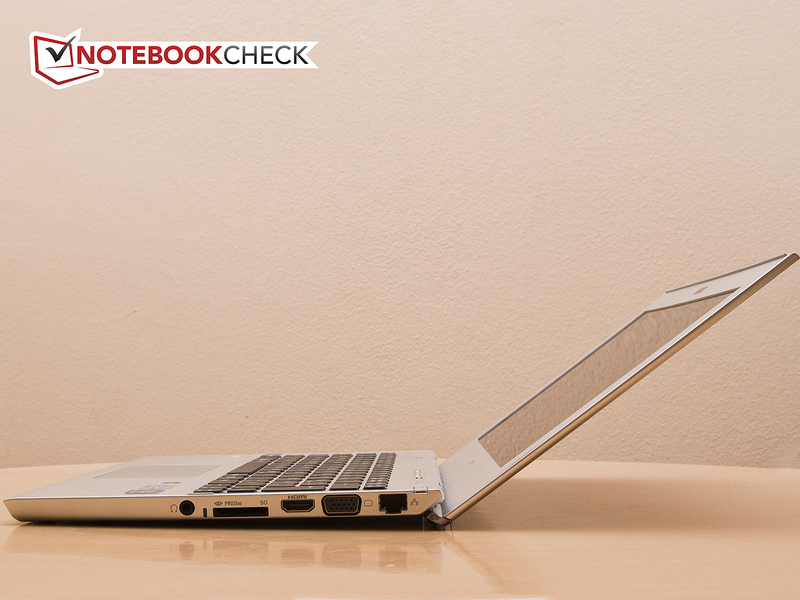 Especially those looking for a long-lasting, well-built Ultrabook at a reasonable price should consider buying it”. One reservation: The low quality display has to be considered when thinking about a purchase. Outside the highly reflective display makes reading difficult. A webcam is on board, too. One houses the battery, the other one the hardware. Two access panels on the bottom. Because of the way the hinges lift up the notebook in the rear, the lid doesn't tilt back very far. Viewed from the side: a very slender profile. ... causes the hinge to lift up the rear of the notebook. Only in the shade we could actually decipher anything. Fit and finish are very impressive. Fortunately Sony didn't make changes here. A better display panel would significantly improve this model. Right now it's rather unimpressive. We would appreciate a less noisy fan. That a company like Sony actually manages to make things worse during the final phase of development. A model featuring similar specs is offered by Toshiba: the Protégé Z830-10N. Toshiba however, uses a SSD exclusively. The price of 1200 Euro is fairly steep. 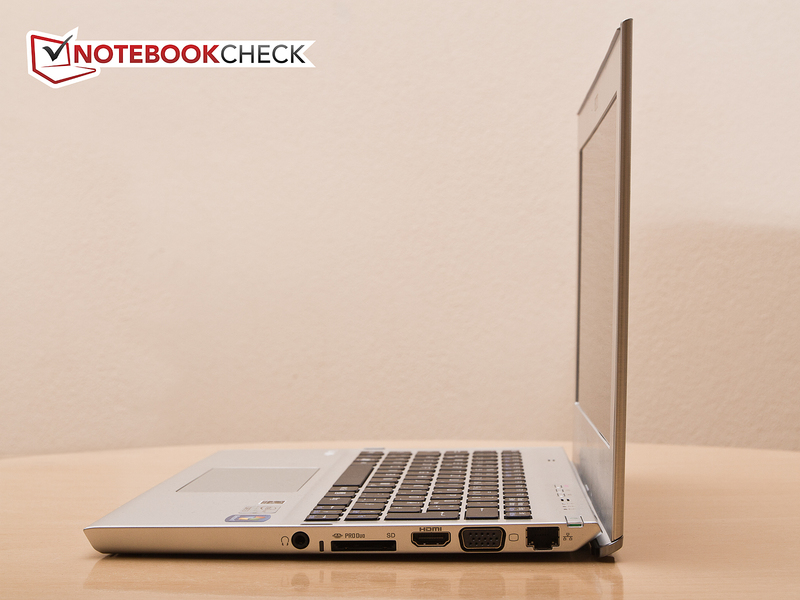 For those who are able to spend more, the MacBook Air deserves consideration; the Asus ZenBook is also worth a look.